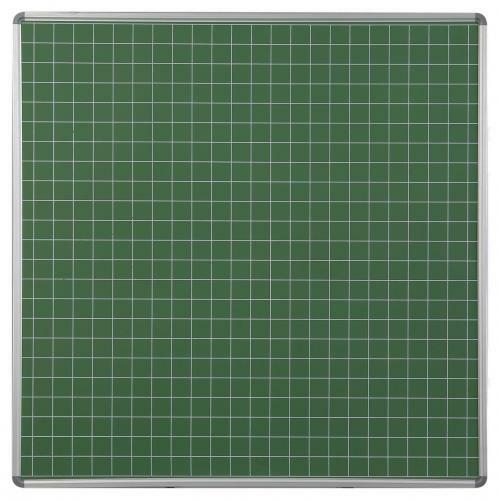 Attach this non-magnetic with squares swing leaf to the magnetic (811-088) or non-magnetic central panel (811-089) to create your own ideal chalkboard that fits your classroom needs. The Center Panel always comes with a pentray. That is the place where you can put your chalk and the chalkboard duster. All Panels are framed with a stable and durable deluxe frame and the swing leaf has in addition corner buffers to avoid scratches on the board as well as heavy duty hinges.